What is the structure of an Apostolic Church? Does the Bible mention this type of church? Is this type of church fitting for today? To understand the Apostolic church, it helps to take a look at the root word. It is led by an Apostle. The word Apostle comes from the Greek word Apostolos. It means “sent one”. An Apostolic church is one that embraces the responsibility of being “sent” to a region with a mandate from God. That calling is to impact a specific territory with the Gospel of Jesus Christ. This type of church can be found throughout the New Testament. In the Book of Acts, we see the church growing swiftly. Christians traveled from city to city. The believers would enter a region evangelizing, often led by an Apostle. In addition to preaching the Good News, they’d establish a congregation wherever the people were receptive. From there, amazing things took place in the name of Jesus. The Apostolic church doesn’t just seek to gain new members. It is a ministry that equips people to achieve their God-given destiny and raises up societal, Spirit-filled leaders for Christ. This is done through discipleship and training. After ensuring believers have a strong foundation in the Word, the church looks to identify gifts within the congregation. Every Christian has gifts. Once discovered, those gifts can be built upon. The Apostolic church works to help uncover your gifts and create a pathway to use them for God’s Glory. Discipleship…. because Jesus said so. Jesus gave a very specific mandate via the Great Commission to make disciples. Discipleship is the process where believers work together through study and ministry. They commit to the building up of one another. Someone who is more experienced generally takes on the mentorship role. Regardless, both benefit. The questions asked by the new Christian are a blessing as they also train and challenge those who are leading the discipleship. The Apostolic church takes the Great Commission seriously. That means sharing the Gospel and committing to one another through discipleship, which teaches people how to operate in all the benefits of God’s Kingdom. The Apostolic Church has a different structure than many churches today. Most churches in our society are Pastoral in that a Pastor fills most of the roles in the leading of the ministry. The gifting of the Pastor is vital to the church, but a strong church has many needs. Thankfully God has provided a set of gifts to meet those needs. If you study the first-century church structure, you will find 5 very different but equally important gifts operating all at the same time. This is what is known as the 5 fold ministry. These gifts are detailed extensively in the bible and come together as a leadership structure that empowers the church. Prophet – hearer of the voice of God, communicator of His will for the church and the people. Each of these plays a key role in the development of the church. 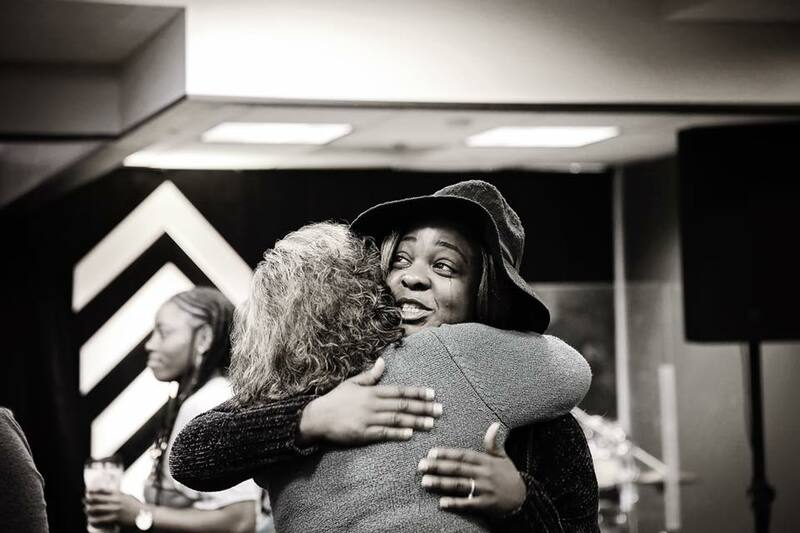 When working in harmony, the gifts have a powerful impact on the congregation. The 5 fold helps believers mature in their faith, get strengthened and develop in the foundations of Christianity. A strong church will constantly raise up people to operate in these categories. In doing so, all the needs of the congregation can be met. Evangelists introduce a population to the faith. Pastors care for the needs of the congregation. Teachers lay a foundation of sound doctrine. Apostles and Prophets cast vision and help to identify Godly direction. This type of leadership requires more than a single person to achieve maximum success. Success for the Apostolic ministry is achieved when the people of the region are transformed. When an area is impacted by the Gospel, we see the entire community rejoice and much of it turn their hearts to God. This exact occurrence and church structure are well documented in the Bible. Paul tells the Corinthians to seek gifts and guides them to a deeper call of the Apostolic ministry. Now you are the body of Christ and individually members of it. And God has appointed in the church first apostles, second prophets, third teachers, then miracles, then gifts of healing, helping, administrating, and various kinds of tongues. Are all apostles? Are all prophets? Are all teachers? Do all work miracles? Do all possess gifts of healing? Do all speak with tongues? Do all interpret? But earnestly desire the higher gifts. And I will show you a still more excellent way. The Book of Acts is filled with examples of the early church’s structure. Therefore, consider a deep study of this book. What Happened to the Apostolic Church? For the first few centuries, the early church operated in the Apostolic structure. They influenced the world and changed the course of history. This was despite terrible persecution from Imperial Rome. Eventually, even the Roman Empire adopted Christianity. While politically this was a benefit, it ultimately changed the structure of the church altogether. In just a bit over 300 years, Roman traditions penetrated church doctrine and still influence many of our religious customs today. The leadership of the new Roman influenced church basically removed the original apostolic model. Pastors or Priests assumed the exclusive role of leading the congregation. Church tradition became a higher priority than personal growth and ministry. Overall, the remaining 5 Fold gifts diminished. The church turned into a large governing organization. Leadership was a single hierarchy that claimed to be mandated by God. In this model, believers come to the “church” to gain access to God. The original church thrived on the individual’s direct connection to the Creator and the collective gifts of the congregation. When a congregation’s gifts combined, the church was strong. Ultimately, with the 5 fold gifts less and less prevalent beyond the 3rd century, the authority of the individual Christian was limited. For over past 1700 years, the pastoral church model at large remains a strong contrast to the early apostolic church that continued the work of Jesus. This first started with the Roman church and lasted well beyond a shift in 1517. The Protestant Reformation helped to expose some false doctrine that penetrated church tradition. More diverse denominations sprang up in the following 500 years. A large majority, however, kept the Pastoral seat as a single point of leadership. Noone can deny that the Christian religion itself has seen centuries of strong political power and influence. Unfortunately, there have been some dark times in the church. It has not always been the best example of Jesus. Where the church was best represented as the heart of Savior and reflecting the nature of God throughout history was the early apostolic structure. In contrast, the apostolic church may have lacked political position, but it positively influenced the known inhabited world like no other movement known to man. To sum up, today’s Christianity looks a bit different. Christians may go to church, but do we collectively act as the church? Truthfully, we don’t operate like the Acts church. That is why we don’t experience the same lifestyle as the early church. That generation saw miracles, signs, and wonders. they persevered through trials and lived through great victory. Thankfully, in recent times, there has been a push to restore the original apostolic 5 fold model. The Apostolic is not a modern-day denomination. It is actually the original church structure that is found in the bible. Nowhere in the Scripture does it call for this model to change. Nevertheless, it has. If we restore the Apostolic 5 Fold ministry back to the church we will see the same global impact that we experience in the Book of Acts. In Acts, the church pioneered the Gospel and transformed regions by bringing the freedom that comes with believing in Jesus to all who accepted it. A restoration of the 5 fold Apostolic ministry is long overdue. The Sound of Heaven Church is modeled through the 5 fold gifts. We believe we have a mandate to first impact Long Island and then the world. In conclusion, the message of the Gospel and the need for discipleship is relevant in every generation. There will never be a time where humanity will not need to hear the Good News of Jesus Christ. Every day a new baby is born. If the church does its job, that person will at some point hear about God’s love and then learn that they were born with unique gifts designed to make the world a better place. 1) The Bible displays this as the church structure intended by Jesus. We each have a purpose and unique gifts. When we discover those and unite with one another, anything is possible! So many Christians have gone to church their whole lives only to still wonder about their purpose on earth. Millennials and Generation Z are rejecting organized religion on a large scale. In fact, studies show that they feel like the tradition isn’t relevant to our time. The Apostolic changes this because it isn’t a dated set of religious customs. It is a vehicle for influence and empowerment. Without question, the world needs to know that the power of God is alive and relevant. The Sound of Heaven Church leadership would be glad to answer any questions you may have concerning the question “What is an Apostolic Church?”. Contact us anytime.